There's more to gardening than tending to weeds and plants. It also requires proper tool maintenance and care. A quality garden starts with quality care—and that doesn’t just mean keeping up with your weeding. Maintaining your garden tools will ensure that any chore you complete gets done with the highest potential for accuracy and precision. Not only do tools need to be sharp, they also need to be clean and sterile, so they don’t accidentally spread disease or viruses across your garden beds. And of course, stored in a dry location, not just left in the grass for tomorrow’s chores! 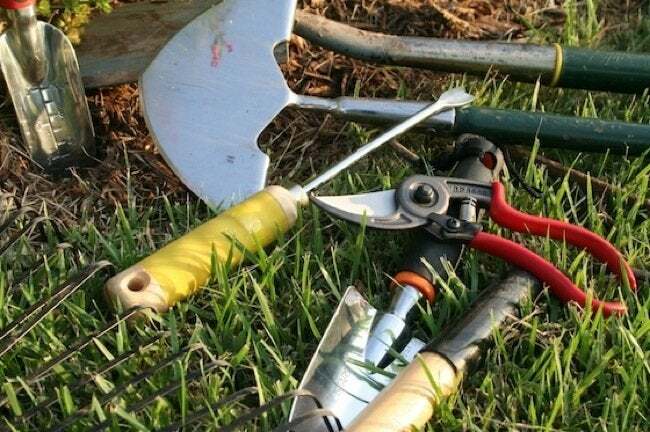 Here’s how to keep your tools in good shape for any gardening issue that comes up. Start by washing the dirt off your tools with a garden hose by scrubbing with a wire brush. Dip the tools in a diluted solution of any household bleach. Turpentine can be used for any items that might be covered in sap and vinegar can be used to soak items coasted in rust. Give wooden handles a light rubbing with linseed oil. Not only does a thorough cleaning mean sterile tools, it also ensures your tools will last longer. Just think of it as protecting your investment. Hoes, shears, scissors, knives, loppers, prunes, and shovels all need an occasional sharpening. Wipe the blades down with WD-40 or another lubricant. Most blades can be filed with a 10” flat mill file, purchased at most hardware stores. File at a 20 to 45 degree angle for most tools; it’s usually easiest to follow the original bevel. 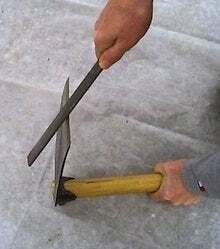 For items that need a finer edge (pruners or shears), use a whetstone to finish the edge. Even when you know you’ll be using your tools the next day, don’t leave them out in the elements. After cleaning them, return used items to the shed, where they will be kept dry and are likely to remain rust-free. A great way to store small spades and trowels is by keeping them in a pot filled with sand that’s been soaked with motor oil. This helps keep the metal well-conditioned. Your larger tools will do best hanging in a dry, ventilated shed. A pegboard will keep everything organized and easy to access. Keep the tools you frequently use within arm’s reach, and place less-utilized items as you wish.